Jason Segel first shared with the world his love of puppetry at the end of "Forgetting Sarah Marshall," when his character, Peter, finally puts on his long-gestating vampire-puppet opera. At the time it seemed like a good bit—there was no way to know that Segel's love of the art form was as deep and real as "The Muppets," the feel-good movie of 2011, proves it to be. Segel, who co-wrote the screenplay with longtime collaborator Nicholas Stoller, stars as Gary, a 30-something man who lives at home with his brother, Walter, who happens to be a puppet. When Gary decides to take his girlfriend, Mary (Amy Adams, who incredibly is able to segue seamlessly from "The Fighter" to this) to Los Angeles to celebrate their 10th anniversary, he convinces her to let Walter join them. Walter, naturally, is a huge Muppets fan, and is dying to visit their old studio. But when they arrive, they find the place condemned, blanketed with cobwebs and in danger of being razed by the evil oil baron Tex Richman (a delightfully evil Chris Cooper). They quickly hunt down Kermit to share the news, and convince him that the only hope for saving the old place is to get the gang back together and put on a show! From the first number, "Life's a Happy Song," until it's reprieve at the film's conclusion, "The Muppets" is raucous good time, full of great songs (most of the originals are by Bret McKenzie of "Flight of the Conchords" fame), rapid-fire wit, subtly brilliant sight-gags and mountains of heart. Both Segel and Adams possess a rare quality, the ability to be inexhaustibly cheerful without coming off as phony or insincere. Add to that their talent for song-and-dance numbers, and you have an unstoppable pair of movie stars sharing with you the time of their lives. At the "Bad Teacher" premiere, Jason Segel says that it's a "dream come true" for him to bring "The Muppets" to the big screen. 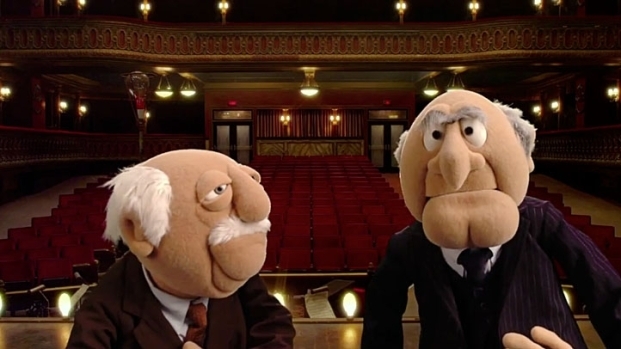 So, what can Muppets fans expect to see in the movie? The great Frank Oz, who did as much as anyone this side of Jim Henson to create The Muppets, rather churlishly criticized the film last month, without even having seen it, saying, "I wasn't happy with the script. I don't think they respect the characters. But I don't want to go on about it like a sourpuss and hurt the movie." It's a shame that Oz spoke without seeing the film, because for anyone who grew up watching "The Muppet Show" and "Sesame Street," the story Segel and Stoller have crafted is pitch-perfect. Like the original "Muppet Show," this new film simultaneously plays to kids and adults, keeping everyone entertained. And like their forebearers, this crew of Muppets masterfully wields their self-awareness, breaking the fourth wall, commenting on how clumsy dialogue sounds like important plot points and doing things like suggesting they "travel by map!" The original songs composed by McKenzie are excellent, with the highlight's being "Life's a Happy Song," and "Man or Muppet," a duet between Gary and Walter, in which the brothers each face their own demons. And McKenzie's old "Conchords" director, James Bobin, who helmed this film, masterfully keeps the action popping. 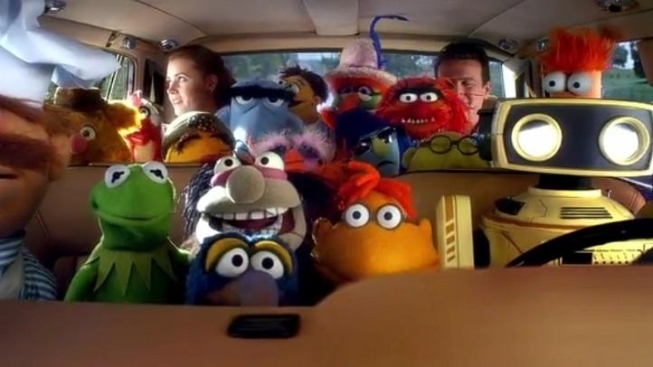 In an age when each reboot, remake, adaptation and reimagining causes progressively more outrage, "The Muppets" stands as one of the year's very best films, a two-hour joyride that pays homage to the greatness of the source material while updating it to suit today, and tells a beautiful story about growing up, moving on and letting go—all the more reason for Frank Oz to see it.